Conducting a great interview requires coming up with pertinent questions and establishing a rapport with your subject. While those tasks aren't easy, transcribing that interview can also be difficult. 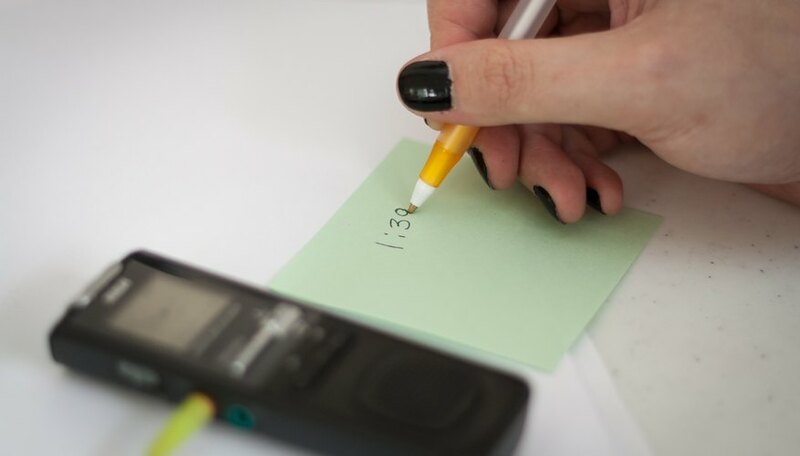 Accuracy is essential, so you'll need precise listening skills, careful editing and patience. 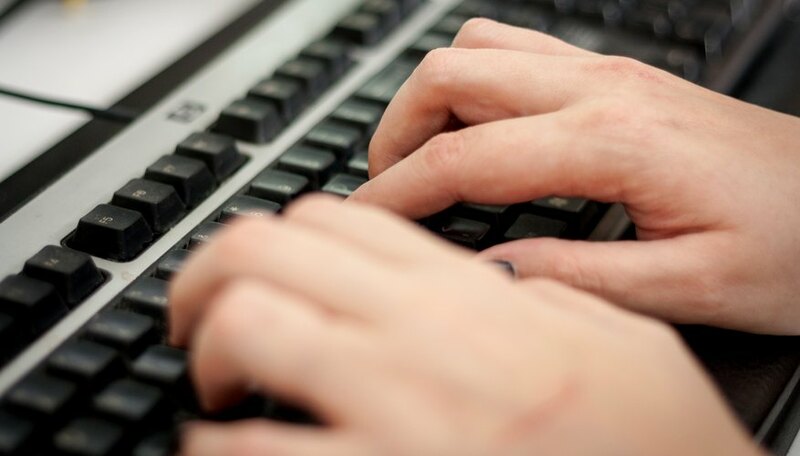 Depending on your keyboarding ability, an hour-long interview can can take up to six hours to transcribe, so make sure you allow enough time for the job. Start the tape. Use the foot pedal to stop and restart it as you work. If using a regular tape player, simply hit "pause" to stop the tape. The process will take much longer this way. Start typing as soon as the tape starts. You won't be able to type as fast as people speak, so stop the tape each time you fall behind. Use whatever technique works best for you. You may want to listen first to a sentence, then pause the tape and type it. 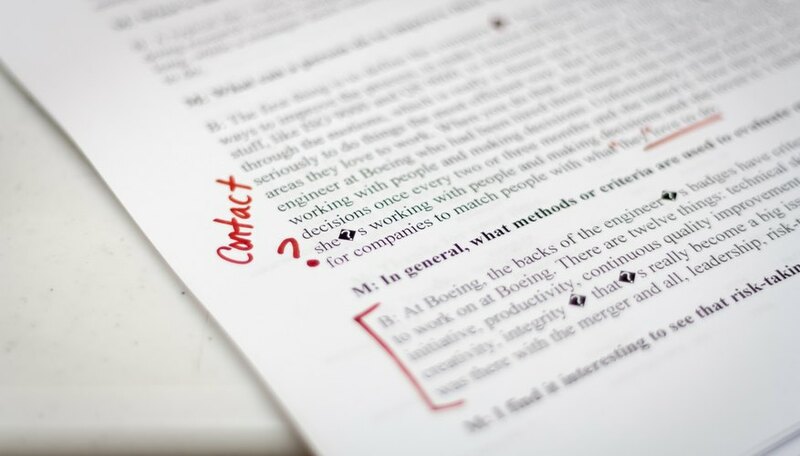 The cleaner your transcript in the first pass, the less editing you'll have to do. If a passage is difficult to decipher, listen to it twice more. If you're still having trouble, make note of the counter number on the recorder, and plan to go back to it later. 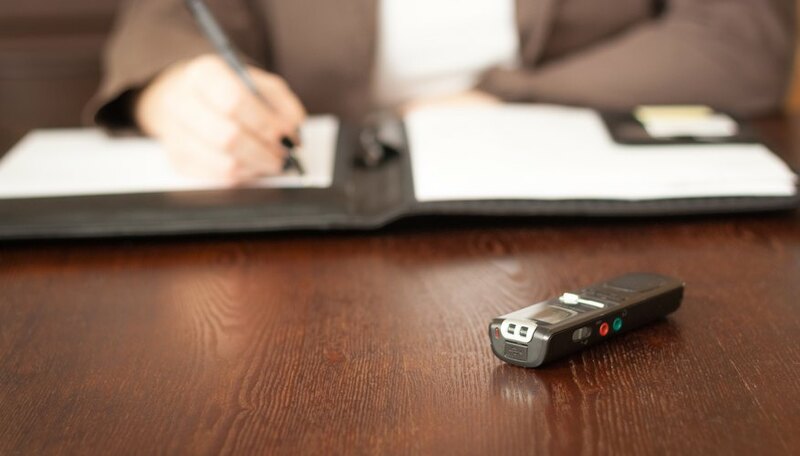 Transcribe the interview exactly as you hear it. Abbreviate speakers' names to the first or first two initials, with a colon following. For example, "V: What other voice work have you done? C: I've done two radio commercials and one TV commercial." Type in block paragraph format, inserting a space when the speaker changes. When you've finished typing the initial draft, listen to the tape again. At the same time, read what you've written. The print should match exactly. Make corrections as necessary. Return to problem areas you noted that weren't repaired during the second play of the tape. If the dialogue is impossible to decipher and the answer is an important fact or comment, contact the speaker to verify the information. For any text you are unable to verify, put your best guess in brackets in the final copy; this indicates that it's your text, not the original source's. Use whatever guidelines your editor has for these situations; some will add an editor's note. 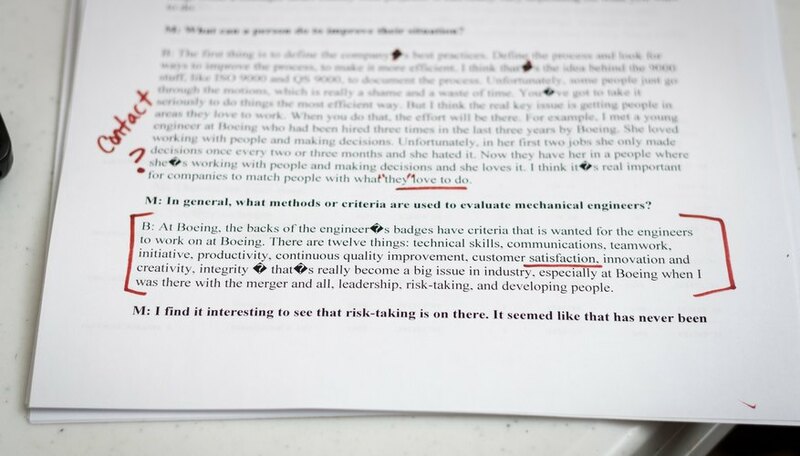 If the missing words aren't important, edit the answer out of the final copy, or add ellipses to the preceding part of the response to show that something was omitted. Begin editing the text. Spell out abbreviations and clean up punctuation. 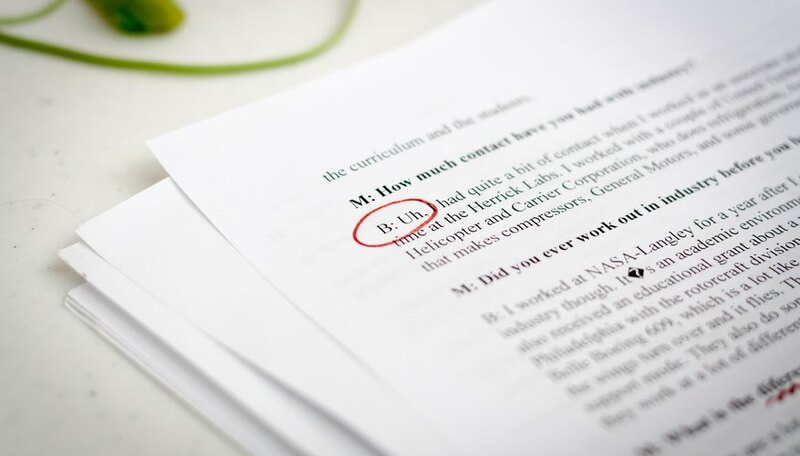 Edit out filler or patterns of speech such as "um," "uh" and "like" that detract from the message of the interview, especially for factual interviews. If it's a personality piece and the person's speaking style is important, leave in more of these patterns. Insert extra paragraph breaks if a response is particularly long. Check spelling. 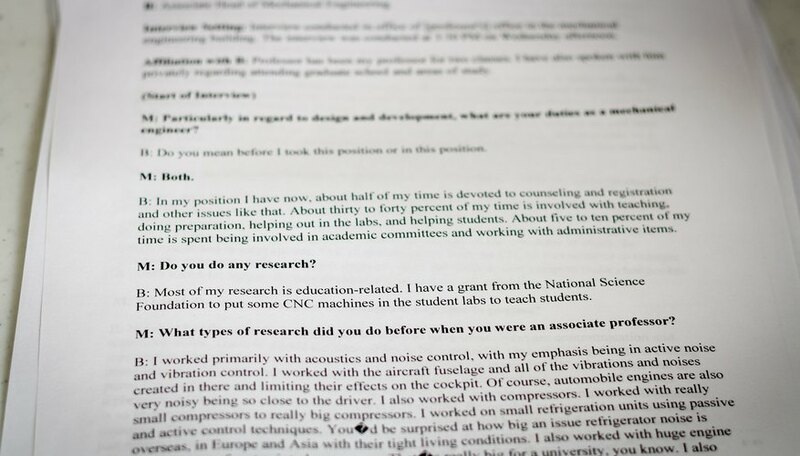 The interview is now ready for publication or for integrating into a fuller piece. 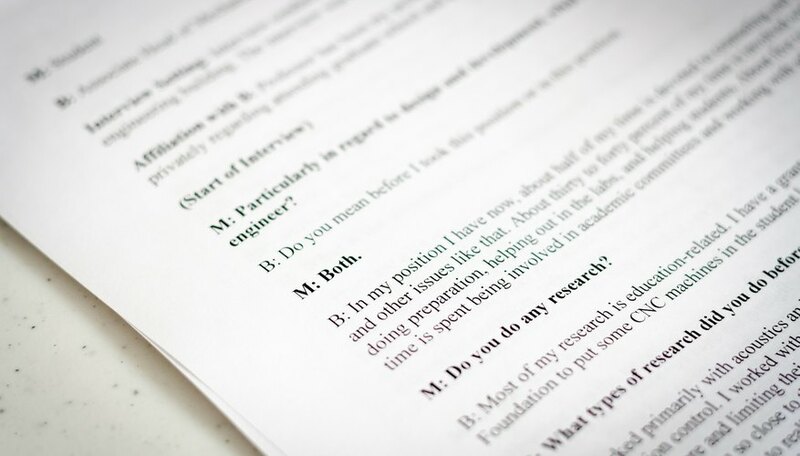 Depending on where the item will be published, only samples of the full interview may be used, or biographical information can be woven into the text of the interview to add context. 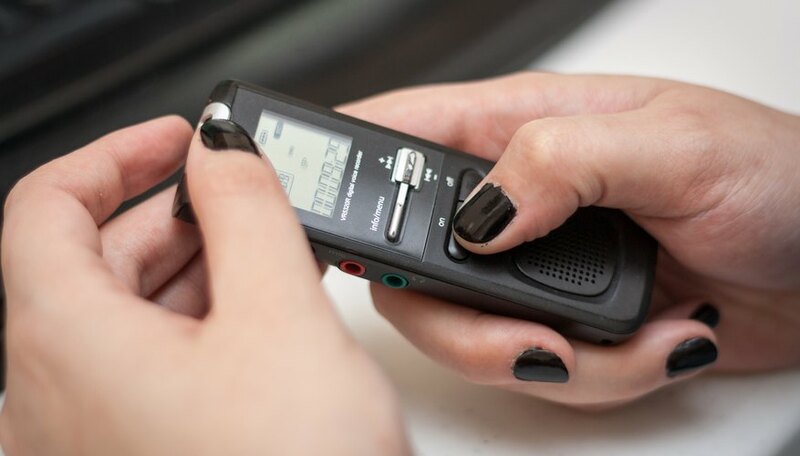 If you are transcribing an interview that someone else conducted, it's important to familiarize yourself with the subject's style and the context of the interview. 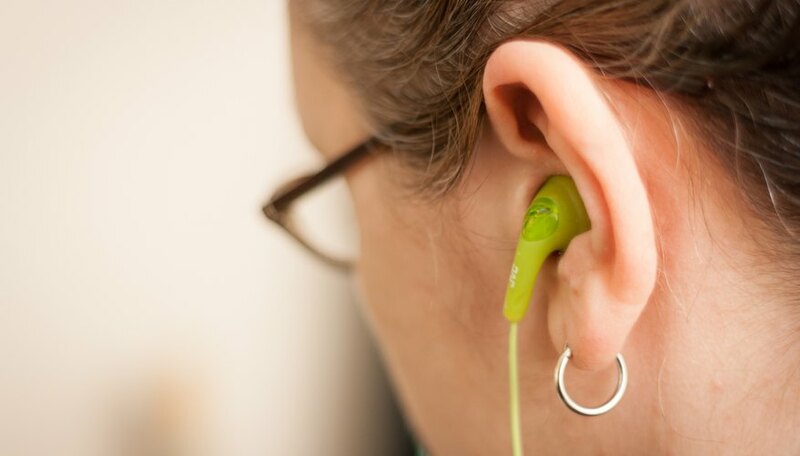 Listen to a good portion of the interview first before attempting to transcribe it. 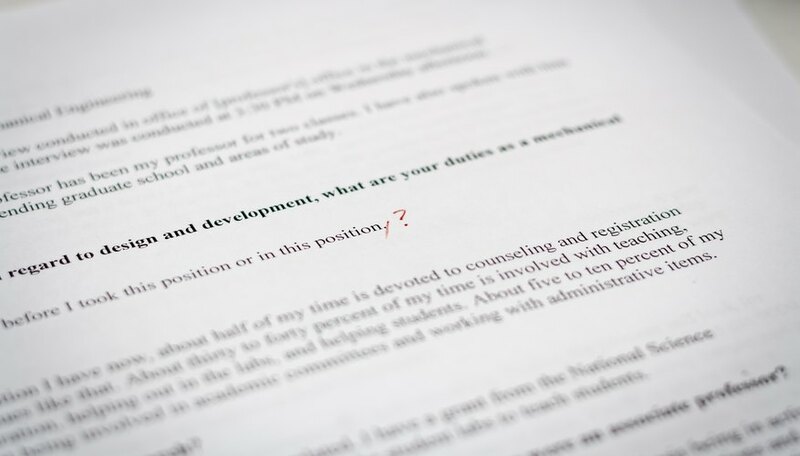 To add clarity, you can add some clues to the tone of the interview in brackets. Add, for example: " [laughs], [points at bandmate]." A few simple edits can totally change the tone of a piece, so it's important to remain as true to the interview subject as possible. Only edit out filler words and simple grammar mistakes that occur in casual speech. If the subject's answer is ambiguous, don't try to clarify. Let the readers judge for themselves what was meant. 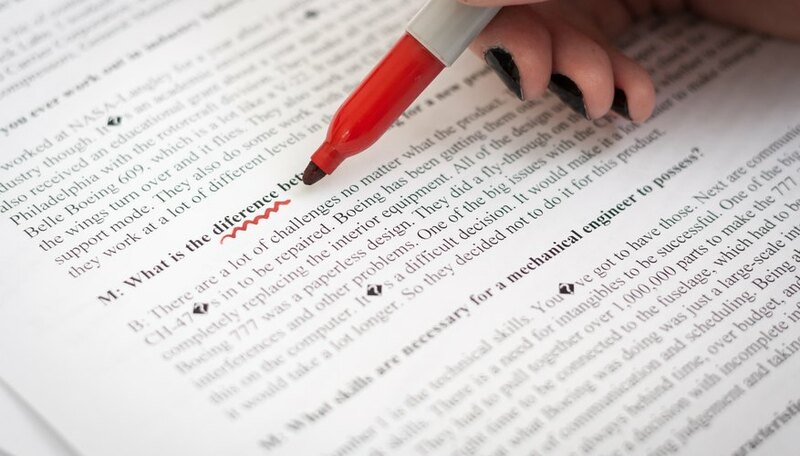 Words are harsher in print, so editing out filler and adding context afterwards can help present your subject in the correct light. Read over the final copy to make sure that your interview subject doesn't end up sounding more extreme or less articulate than in real life.